Take your #KissThis4MBC BOOMERANG or selfie directly in Instagram by clicking on the camera in the upper left-hand corner. You can also upload from your camera or use the BOOMERANG app (download for iOS or Android) to create a mini video to upload. Before you post, be sure to use the hashtag #KissThis4MBC in your caption to help raise funds for metastatic breast cancer research! I'm telling metastatic breast cancer to Kiss This to help raise money for research in support of those living with this currently incurable disease. Join in by sharing your own Boomerang or selfie using the hashtag #KissThis4MBC! One in three people diagnosed with breast cancer will develop a form of the disease for which there is no cure – metastatic breast cancer. Last year, thousands of people across the country participated in the Kiss This 4 MBC™ campaign on social media and helped raise more than $200,000 for metastatic breast cancer research in less than three months. But we're not done. This Breast Cancer Awareness Month, Novartis is donating $15 for every #KissThis4MBC social media post and encouraging everyone who participates to help take this initiative even further by also nominating or “tagging” their friends and family to #KissThis4MBC. Help us reach our goal of raising an additional $200,000 for metastatic breast cancer research by November 15. To help the public understand the true impact of this disease and inspire action, Novartis is elevating the voices of people who have been affected by metastatic breast cancer. Post a Boomerang or selfie telling us why you #KissThis4MBC, and nominate or “tag” others to join in bringing this community the support it needs. For each public post using the hashtag #KissThis4MBC through November 15, Novartis will donate $15 to metastatic breast cancer research, up to $200,000. Every dollar raised will be donated to the Metastatic Breast Cancer Network (MBCN) and METAvivor, two US-based organizations dedicated to supporting people living with metastatic breast cancer. You can also upload from your camera or use the BOOMERANG app (download for iOS or Android) to create a mini video to upload.. It is estimated that 155,000 people are currently living with metastatic breast cancer in the US — but even more people are affected by this devastating disease as it continues to take the lives of too many mothers, partners, sisters, brothers and friends. The #KissThis4MBC Ambassador Squad is a group of 13 incredible individuals who are leaders in the breast cancer community and are committed to advocating for metastatic breast cancer because of the ways the disease has impacted their lives and the lives of their loved ones. Many are living with metastatic breast cancer themselves – some were diagnosed in their 30s or 40s while they were navigating major life moments like getting married or raising a family, while others were initially diagnosed at ages as young as their teens or 20s. A handful of these ambassadors have never had metastatic breast cancer themselves but are passionate about this initiative – some because they've been caregivers or have lost family or friends to the disease. Others are currently in remission from early-stage breast cancer, or have had a preventative surgery, but know that messages about prevention aren’t enough and more needs to be done for the 30% of breast cancer patients whose cancer becomes metastatic. All of these ambassadors are joining forces with Novartis to help generate increased support and research funding for metastatic breast cancer. 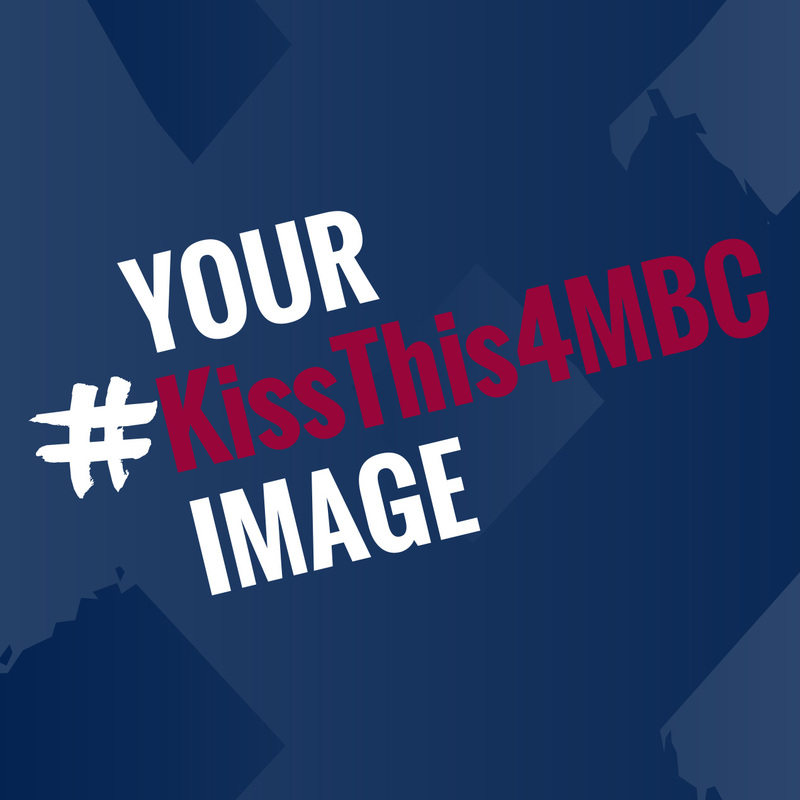 Help rally support for this community and raise money for metastatic breast cancer – share why you #KissThis4MBC and nominate your friends and family to do the same. "I #KissThis4MBC because I want to change negative perceptions and stigma around this disease." *This survey was conducted online within the United States by The Harris Poll on behalf of Novartis from July 31 - August 2, 2018 among 2,012 U.S. adults ages 18 and older. This online survey is not based on a probability sample and therefore no estimate of theoretical sampling error can be calculated. For complete survey methodology, including weighting variables and subgroup sample sizes, please contact Jamie.bennett@novartis.com. These guides are designed to help you prepare to talk about MBC with your children, life partners and friends, so that you can take on the challenges of living with this disease together. Premenopausal women with metastatic breast cancer face specific clinical and psychosocial issues, including impacts on work. There are several types of healthcare providers and complementary caregivers who can help navigate life planning.